With its central location, Majestic Hotel Saigon is within easy reach of most tourist attractions and business addresses in Ho Chi Minh City. 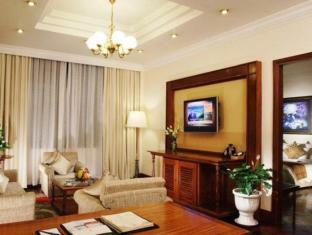 The Majestic Hotel Saigon has a total amount of 175 well-appointed rooms designed with the guests' comfort in mind. Each guestroom has internet access – wireless, television LCD/plasma screen, in room safe. Services and amenities available for guests at this Ho Chi Minh City accommodation consist of restaurant, salon, bar/pub. The Majestic Hotel Saigon offers jacuzzi, massage, outdoor pool to provide extra pleasure and relaxation for all guests. The Majestic Hotel Saigon provides a warm and welcoming service of international standard. Please complete our secure online reservation form by entering your period of stay.